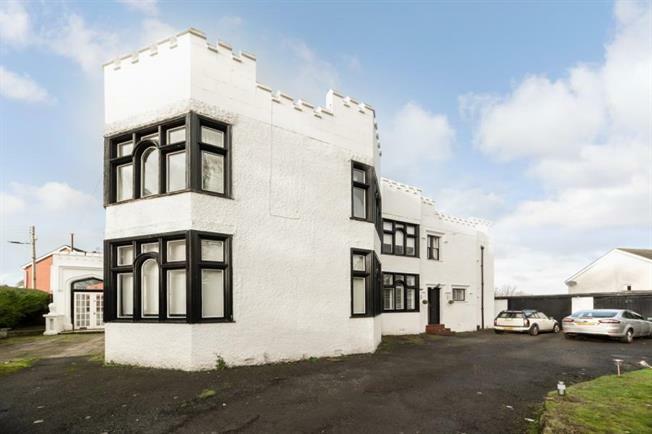 2 Bedroom Ground Floor Flat For Sale in Glasgow for Offers Over £140,000. Countrywide estate agents are delighted to offer to the market this seldom available main door lower conversion of a 1920s detached villa. The building known as 'El Palet' is situated along East Kilbride Road and is well positioned for local amenities and access to Glasgow city centre. The property offers well decorated accommodation comprising outer vestibule, reception hall, large bay window lounge with feature fireplace, recently re-fitted breakfasting kitchen, two good sized double bedrooms and a quality bathroom. The property is complemented by gas central heating, double glazing, bespoke window blinds, private gardens, garage and driveway with double entry. The property is located within close proximity is too wide range of excellent amenities which include local shopping, public transport facilities (both buses and trains), schools(Both primary and secondary level), sporting and easy access to the new motorway network. This is a beautiful property with many original features and in the estate agents opinion viewing is highly recommended.